IWSG: Insecure? Because We’re Writers…. 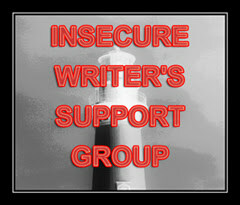 This is a post for the Insecure Writer’s Support Group bloghop. It is scheduled for the first Wednesday of the month. TODAY is the first Wednesday of the month. So it’s not too late to join up— unless you are reading this tomorrow. Why are writers insecure? Because we’re writers! Writing is a lonely business, from the day when you bat out your first, poorly-thought-out short story attempt until you reach the Stephen King level of success. And in our culture, we’re taught that doing things by ourselves is bad. Schools have taught us that everything, even going to the bathroom, must be done as a group project. When teachers assigned us something in the creative-writing realm— if they ever did— they try to turn it into something more compatible with group activity. They don’t ask us to write a poem, they instruct us to count out 5-7-5 syllables and call the result a ‘haiku’. Because that way the bulk of our class time is spent in a group— having the syllable-counting explained to us, showing us examples of syllable-counted ‘haiku’, and after comparing the student-written ‘haiku’ and condemning those examples which strayed overly far from the models given. Real writing is nothing like that. No one gives you the assignment. Something that starts out as a historical romance trilogy might end up as a Western novella— but since you are working on your own, no one will care, since it’s only the finished product that counts. And so by identifying yourself as a writer, you are identifying yourself as something scary— a loner, one of those quiet types, no one ever suspected…. The amateur writing world has plenty of chances to ease your insecurity by making your writing efforts more ‘groupish’. You are urged to sign up for NaNoWriMo where, in addition to writing to someone else’s word count goals, you are encouraged to use part of your writing time discussing all your plot points on the forum— and abandoning those that fail the group-think test. And then when you are finished with your NaNo novel, you are told that you are now required to hire an editor-for-hire, and then create a rewrite incorporating the editor-for-hire’s suggestions. 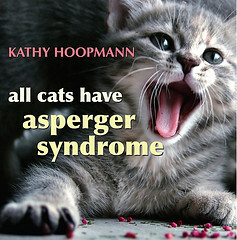 And then you self-publish it and it’s OK that it doesn’t sell because the writing isn’t really yours any more, after all. I find that any attempt to make my writing ‘groupish’ causes writing failure. Lawrence Block once refused to give many details about a current writing project of his, saying he didn’t want to ‘leave his fight in the gym’. I don’t know much about the boxing metaphor but I do know that the more I talk over my story idea, the less likely it is that I will gather the strength and creativity to get that story idea down on paper. I can TALK about a story, or WRITE it, but not both. And so I am a lonely and therefore insecure writer, putting in months of toil on writing ideas I haven’t laid out before a suitable group to gain their criticism, praise and permission-to-proceed. Only after I have committed a great deal of effort to making my fiction the best, it can be will any people be allowed to see it, and by then any criticism or praise will hurt all the more since at that point there will be limits to what I am able to change. But that’s the writer’s life— my life, your life, Stephen King’s life before he was killed by his evil pen name and replaced…. So if you are feeling lonely and insecure today, congratulations. You may be a REAL writer!